The best day to start creating the life you want is today! 1. Seek God’s advice about your situation. In addition to reading God’s Word, you can pray for mentors, knowledge, and divine strategy on how to live your best life. Matthew 7:7 (NIV) says, “Ask and it will be given to you; seek and you will find; knock and the door will be opened to you.” Sometimes getting the answers we’re looking for simply starts with asking the questions! 2. Implement daily practical steps. If you keep doing what you did yesterday, you’re going to keep getting yesterday’s results. 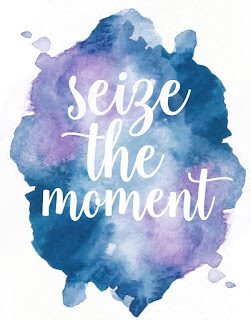 Seize the moment and commit to the changes you need to make to thrive! It takes time and effort, but you’ll thank yourself three months from now. Dear Lord, help us to create the life that You have for each of us. Help us to not live in the past put look to the future You have for us. In the Name of Jesus, Amen.